Featuring free WiFi in all areas, Sun Shine Vacation Villa is located in Renai, only a 10-minute drive from Small Swiss Garden. Free parking is available. 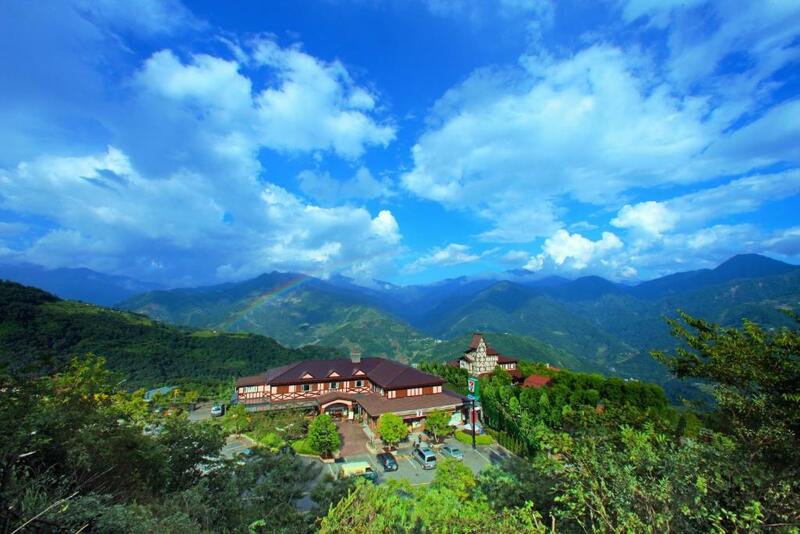 Sun Shine Vacation Villa is housed an 8-minute drive from Cingjing Farm. Taichung HSR Station is a 90-minute drive away. Sun Shine Vacation Villa is housed an 8-minute drive from CingJing Farm and a 10-minute drive from Small Swiss Garden. Taichung Train Station and HSR Taichung Station are 1.5 hours' drive away. Rooms come with a flat-screen TV with cable channels. You will find a kettle in the room. All rooms include a private bathroom. For your comfort, you will find slippers and free toiletries. There are shops and a wide selection of dinning options around the property. When would you like to stay at Sun Shine Vacation Villa? This room type is located in Yusong Building (羽松館). This family room features a electric kettle, cable TV and soundproofing. This room type is located in Jianqing Building (見晴館). House Rules Sun Shine Vacation Villa takes special requests – add in the next step! All children under 12 years are charged TWD 800 per night for extra beds. Sun Shine Vacation Villa accepts these cards and reserves the right to temporarily hold an amount prior to arrival. - Each room type is located in different buildings. Please kindly refer the room description for more information. - For those who book Double Room and Family Room are required to check in in Jianqing Building. - For those who book Honeymoon Suite are required to check in in Laifu Building. - Distance between each building is around 50 feet. Please be noted that guests must show a valid credit card upon check in. This credit card must be in the same name as the guest's name on the booking confirmation. Please note that check-in and key collection take place at: 南投縣仁愛鄉大同村定遠新村18-1號, 南投縣 546. This is very amazing hotel ! Filled with love and everything is well displayed ! Do check out their cafe ! Is really great !